Is your antivirus expiring? Now might be a time to go ahead and get a new one. Well, even if you don’t need one right away, this one is free – that’s right free (well, with a $25 mail in rebate). AVG 2015 will give you 2 year protection for 1PC (sorry Mac users). 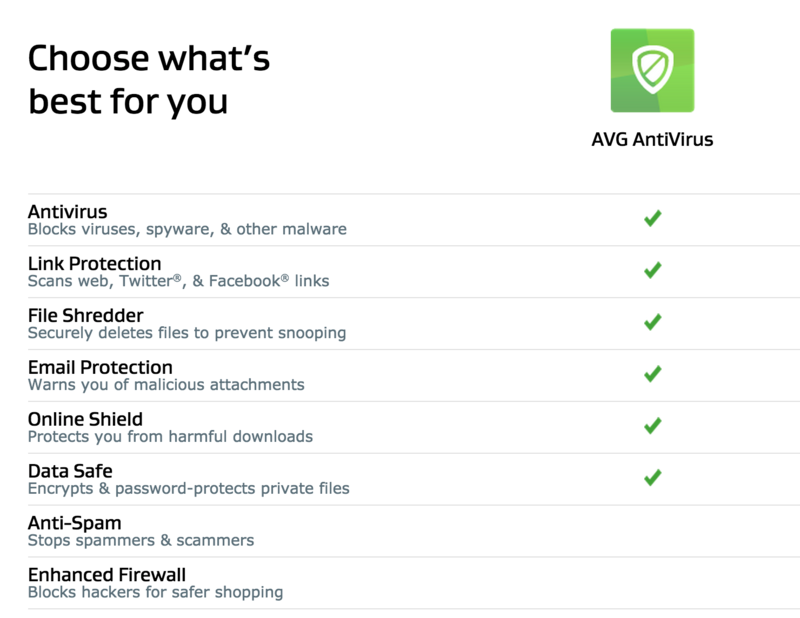 AVG 2015 provides you with antivirus protection and more see below. To get your AVG 2015 for free, first, click this link to head to Newegg, add to cart, enter your email, then type in code: EMCANNW38, to reduce the price by $14.99. 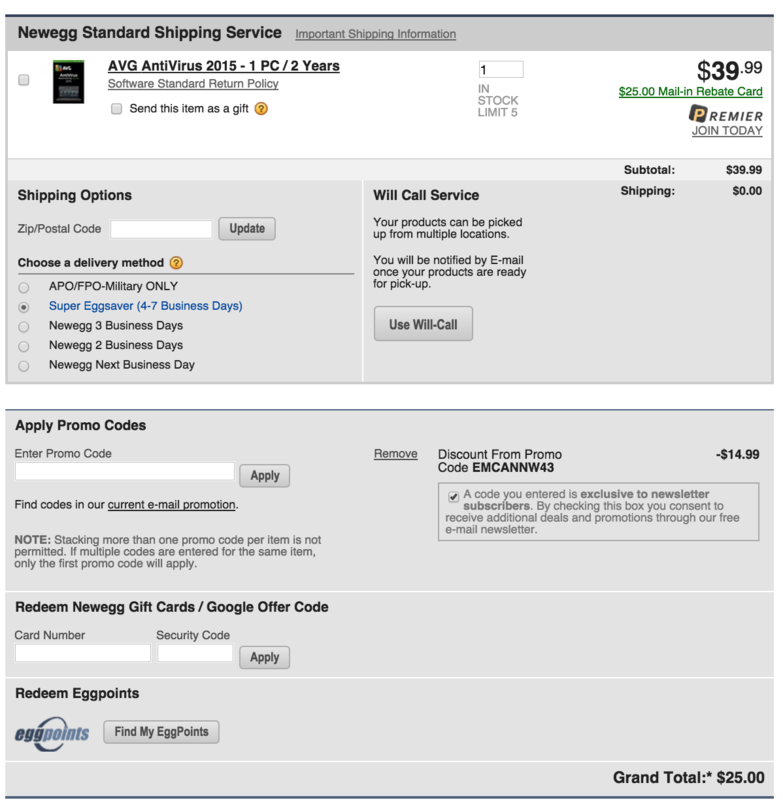 Your net price will be $25, and with the $25 mail in rebate = free!